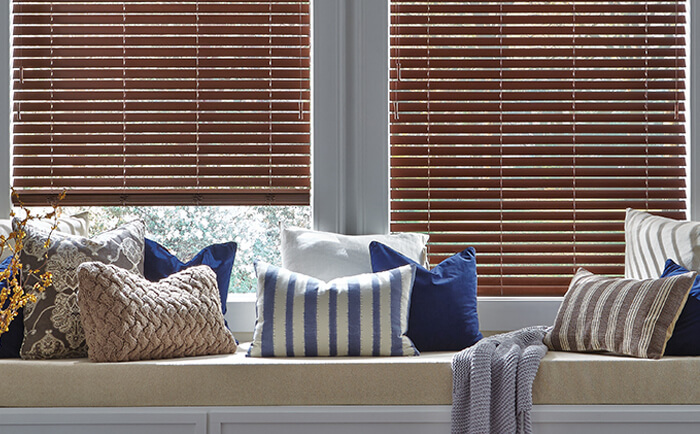 We at Cadillac Window Fashions offer a variety of Hunter Douglas products, including top-quality window blinds. Hunter Douglas has been a market leader in developing great shading products for many years. Our Hunter Douglas showroom showcases all latest innovations in window covering design. 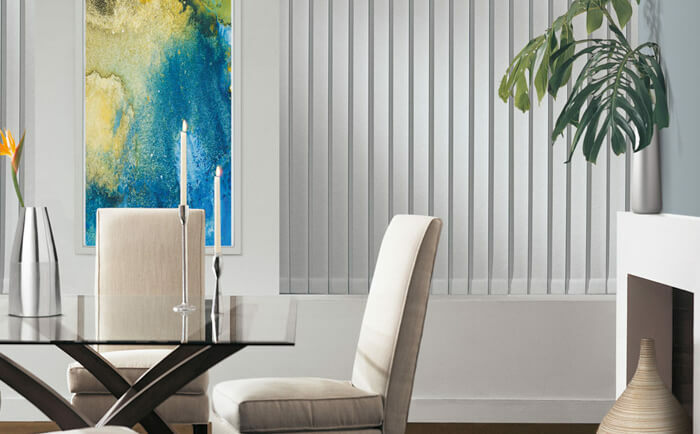 To help you pick the perfect window coverings for your home, Cadillac Window Fashions put together a top 5 of Hunter Douglas Blinds designer choices. Our Summer Vertical Blinds offer a wide variety of colors, textures and treatments. From smooth metal finishes and wood grains to geometric patterns. 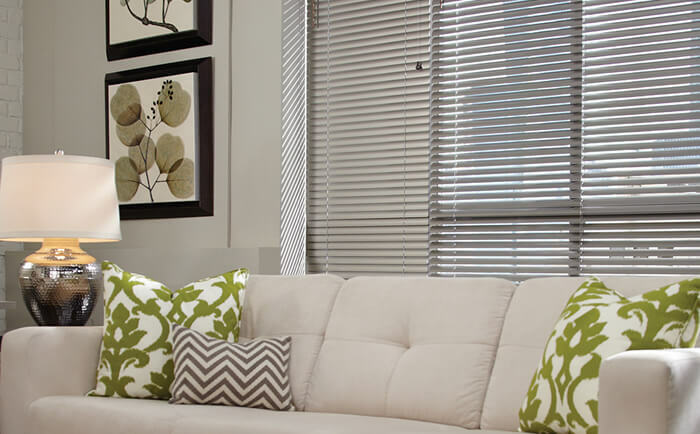 All blinds from this collection are available in fabric, vinyl and aluminum. 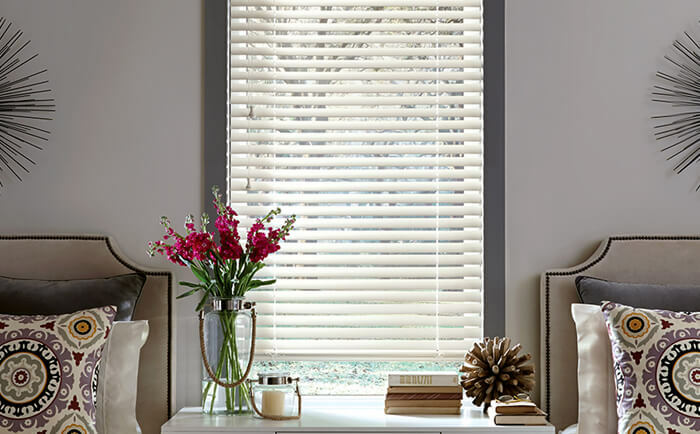 Special features of these window blinds that designers love are the ability to absorb sounds (this depends on the fabric; please consult your sales expert), and UV protection that protects your furniture, artwork and flooring with at least 75% from harmful UV rays. The Hunter Douglas EverWood TruGrain blinds are a designer’s favourite. 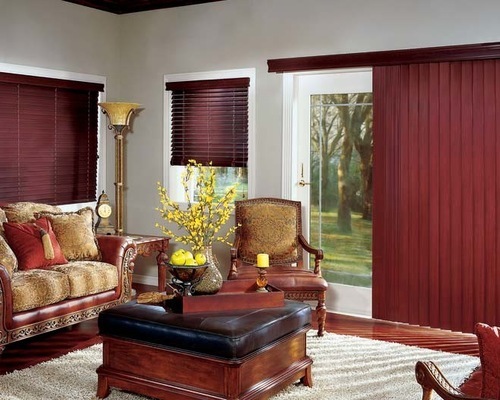 These blinds feature realistic wood-grain patterns built to withstand heat and humidity. There are many options to choose from; popular stains, flat and beveled options. These beautiful blinds also include UV protection and have the possibility to add a motorized system. With just a click of the button you’ll be able to open or close them; easy as can be! The third designer choice are the beautiful Parkland Scenic Horizontal Blinds. They’re 100% basswood, and feature a mix of paints and stains. The available color palette includes whites, grays and neutral tones. All hardwoods are made from sustainable materials, and are all harvested from responsibly managed forests. They also include UV protection and have the option to add motorization. Our Natural Elements window blinds are an exclusive combination of aluminum slates with real wood valance, bottom rail, tassels and tilt wand. The remarkable feature of these blinds is the “bounce back” feature. Which includes our exclusive, spring-tempered alloy that allows slats to “bounce back” when withstanding rough treatment. Furthermore, these blinds include “Dust Shield”, which repels dust, so cleaning will be extremely easy. These blinds also include the option to add motorization. These blinds offer both great looks and functionality. The Crosswinds Vertical Blinds are made from 100% Basswood and are finger-jointed for added strength and durability. They would certainly look great in a room with a combination of windows and doors, another option that designers love. Customer service is something we pride ourselves on. We always strive to give our clients the best possible products for their home and will do whatever it takes to make our clients happy and satisfied with our products. All installations are performed by factory-trained installers, who are also fully experienced in working within our customers’ homes in Toronto, Scarbough, Woodbridge, Oakville, Thornhill, Mississauga, Richmond Hill, Newmarket and Markham for over 30 years. Please contact us for a free in-home consultation.